Education opens up pathways for life, and teachers are a prized possession to help us all reach our full potential in life. Indeed, those who have a passion for teaching are special people whom we can thank for their talents and contribution to the world. Your path toward becoming one can begin today! The following steps will help guide your journey toward becoming a teacher in the state of Ohio. First, you need to consider in which setting you would like to teach. For example, would you like to see yourself teaching in elementary school? Would you prefer to be in a special education setting? Perhaps you would prefer to teach a particular subject like Social Studies or Math? Answering these questions will determine some of the steps you take toward becoming a teacher in Ohio. 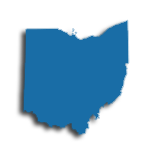 If you are still not sure, you can visit the Ohio Department of Education; they have information on teachers and schools in the state. In Ohio, you must possess at at least a Bachelor's Degree and complete an approved teacher education program at a regionally accredited college or university. In addition, you must pass the Ohio licensing exams. For a list of regionally accredited institutions, refer to the Ohio Higher Ed Education Program Finder. If you have not yet received a Bachelor's Degree, you might choose a college major based on the grade level and subject you desire to teach. However, this is not required in Ohio. 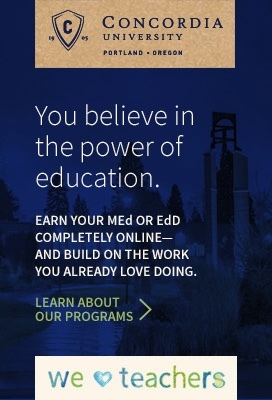 Most accredited colleges and universities offer a blended teacher preparation and Bachelor's Degree program. In other words, you can fulfill the requirements for completing a teacher preparation program and obtaining a Bachelor's Degree simultaneously. These blended programs are designed for individuals who know from early on that they want to teach. Teacher education programs usually include fieldwork with students and a set curriculum at your college or university. The classes you will take generally cover the science of teaching, methodology of teaching, and effective classroom management practices. Classes will also explore typical developmental stages for students of varying ages. The fieldwork aspect usually consists of classroom observations and student teaching. As a student teacher, you will work with a master teacher to develop and deliver lessons to students over a set period of time. The Ohio Higher Ed system provides a list of the specific education requirements per license type. If you already have a Bachelor's Degree in a field outside of education, there is another pathway for you. You can complete your teacher preparation through a post-baccalaureate program. There are also graduate licensure programs which can prepare you for the Ohio teaching licensure as well as obtaining a Master's Degree. Although most traditional teaching licenses in Ohio require a Bachelor's Degree or higher, there are some opportunities for individuals without a degree through the Career-Technical Workforce Development license (formerly known as Career Technical Route B). This alternative route is for individuals with five years or more of full time experience in a career field related to health careers, business, agriculture, marketing, family and consumer sciences, or trade and industry. You can contact the Ohio Department of Education for more information on becoming a Career-Technical Workforce Development teacher. After completing your education requirements, the next step to becoming a teacher in Ohio is to pass the required state tests. These tests are offered by the Ohio Department of Education and are currently the Ohio Assessments for Educators (OAE). See here for the OAE List of Assessments you need to take specifically by license type, grade level, and content area. Teachers will need to take a specific OAE Pedagogy Assessment and OAE Content Assessment depending on the licensure area. You may apply for a teaching license in Ohio online by using the Ohio Department of Education's Security Application for Enterprise (SAFE) Web portal. For more information about the fees and creating your online teaching application in Ohio, refer to the Ohio Department of Education's Online Licensure Application Information section. Depending on your license type, there may be additional forms that you need to submit in addition to the information which goes into the SAFE system. For a list of these forms, refer to the Licensure Document Resources section of the Ohio Department of Education's website. After completion of the above steps, you may begin your career as a teacher in Ohio. Be prepared to put your best practice forward in order to help your students reach their full potential in life. Certified teachers looking for a public school job within the state of Ohio are directed to the state's auxiliary site used for hiring called OhioMeansJobs.com. Through this site, candidates can manage their applications, and school districts can easily open and close job postings as needed. Once hired, teachers may join a labor union. Options are the Ohio Federation of Teachers (AFL-CIO), and the Ohio Education Association (OHEA). The two mentioned organizations advocate for suitable teacher working conditions, funding, and professional development. Upon retirement, teachers are eligible to withdraw their pension contributions on a monthly basis through the State Teachers Retirement System of Ohio (STRSOH). Pensions may vary considerably based on a number of factors, but also include survivor benefits and disability benefits. Many teachers prefer to work in a private school. Candidates are encouraged to apply to any of the state's 1,232 private schools. Private schools in Ohio serve almost 230,000 students with a ration of 14 students to each teachers. Depending on individual school requirements, private schools may or may not require their teachers to be certified. Private schools are a major employer of teachers in the state of Ohio. The table below lists the number of public school teachers in Ohio by grade level during the 2012-2013 school year. There are more than 840 private schools with an estimated 13,700 private school teachers in Ohio. The table below details the number of teachers by grade level during the 2011-2012 school year. Throughout the United States, teachers, support staff, and administrators have established a strong culture of ongoing professional improvement through professional development practices. If of high-quality and relevance, these PD opportunities ensure that teachers boost their academic achievements while solidifying future career and salary goals. Most often, professional development focuses on Common Core standards, but can encompass classroom strategies to teach and evaluate diverse student populations, effective communication, and administrator roles. In Ohio, the state Department of Education has established several tools and procedures to help teachers develop professionally. These include guiding documents for teachers as they develop their personal Individual Professional Development Plans (IPDPs), and standards for teachers' Local Professional Development Committees (LPDCs). Teachers seeking specific professional development offerings are encouraged to contact their LPDC for a catalog of courses, webinars, conferences, writings, and other professional development opportunities. A master's degree isn't a requirement for teaching in Ohio, but there are still many reasons why this advanced degree, either in education or in a specific subject area, is valued among educators. Hold a master's degree and you'll enjoy everything from increased job stability to increased professional opportunities to a bigger paycheck. Plus, you'll satisfy the continuing education requirements for one renewal cycle of your Professional Teaching License in Ohio after completing just two courses toward your master's. Your initial Resident Educator License is valid for four years. You'll then advance to a Professional Teaching License, which requires the completion of at least six semester hours of coursework related to classroom teaching and/or your area of licensure or 18 continuing education units (CEUs) every five years. While there are numerous ways you can satisfy the continuing education requirements, pursue a master's degree while holding a Professional Teaching License and you'll meet the requirements for renewal after completing just two courses. According to statistics from the Ohio Education Association, hold a bachelor's degree and you'll earn a minimum salary of between $25,671 and $35,492. However, hold a master's degree and your minimum salary increases to a range of $40,523-$53,091.